Organic chocolate with orange and spice flavouring. Suitable for vegetarians. 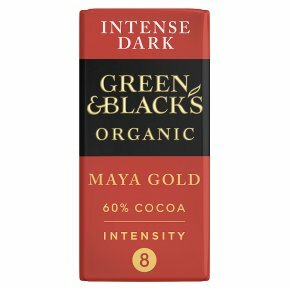 Our dark 60 % chocolate infused with orange, cinnamon and nutmeg. Traditionally, the Maya People in southern Belize flavoured their cocoa with spices. We capture this by blending dark chocolate with a twist of orange, warming cinnamon, nutmeg and a hint of vanilla.